It may be tempting to use one of the free website creation platforms such as Blogger.com or WordPress.com when looking at different ways to start a ministry website. However, there are several things that you should consider before committing too much information to one of these platforms. This does not mean you should never use a free website creation platform but it does mean that you should be aware of the limitations of doing so. While I particularly talk about Blogger.com and WordPress.com in this post, there are dozens of other platforms that you could use for free. Those two just happen to be the biggest and most well known. Any web hosting service (free or paid) will have rules for what can and cannot be posted to their platform. However, your content will be under much more scrutiny when using one of the free services. There may not be any limitation on religious content today, but it is impossible to know what the platform may find offensive in the future. This can cause you to lose control of the content you have created through the years. It is possible for you to move your data from one website platform to another, but this does not always work well and you may not have access to the content when you are forced to move. For example, it is easy to migrate a Blogger.com website to a self hosted WordPress* site, but only if you are still able to log in to your original Blogger account. If your account has been suspended, then you will not be able to move your content to another platform easily. When looking to create a website for your ministry, you probably will not be selling advertising or using advertising networks like Google AdSense. But if you ever wanted to, you will have to make sure that is acceptable on your free website. WordPress.com does not allow you to use any kind of monetization on your website. The Blogger platform is glad to let you use Google AdSense since Blogger is owned by Google and they, like you, benefit every time someone clicks on an advertisement on your website. You may want to look into Shtik ads Google Advertising to start advertising your business. As a Christian missionary you should be very concerned about the content that is placed on your website for which you have no control. Any website platform that places ads alongside your content without giving you express control of approving or denying the advertisements should be avoided. There are many online services which are able to offer their services for free; in return they sell advertisements on the content you create. While services like YouTube give you use of their website for free, there are advertisements placed inside of your videos that may not adhere to your personal standards. Beyond the advertisements displayed within videos there are related videos which may be completely inappropriate for your audience. When using free online services to promote your ministry you should be extremely careful about the links and advertisements that are displayed alongside your ministry content. Does this mean a missionary should never use a free website platform? Not necessarily. But realize that there are many factors that are outside of your control once you use one of these services. All it would take is for someone to complain about your ministry information because they perceived it has hate speech or deem it inappropriate and you could lose your entire website and online presence. 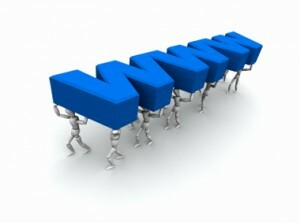 Buying your own domain name and web hosting can cost less than $10.00 a month. This will give you complete control over your website and give you peace of mind that you know exactly what information will be displayed to your readers. In some cases it will require more technical skills than using a free service. In other cases it is no more difficult than using WordPress.com or Blogger. For example, Missionary Geek is hosted at 1&1 (affiliate link). They have their own website creation tools that you can use for free once you have an account. Or you can install WordPress* and have complete control over your website on a professional content management system. Even if you wanted to display all of your content on your website into a Facebook page where more of your friends and family are likely to read it, you should still have your own ministry website. You can use your site’s RSS feed to send all your content to Facebook. This will let your supporters read your content at Facebook or at your ministry website—whichever they choose. *There is a difference between WordPress.com and the WordPress software. WordPress.com is a website that allows you to set up a free website on the WordPress platform. The WordPress platform is a free piece of software that you can install on your own web host and have complete control over your hosted website. Good points. I too use WordPress hosted on 1&1. Good choice! He did not mean using wordpress cms platform he meant using wordpress.com free blog/site. This means you can get a free blog/site which you will not have full control in case you wish to migrate.